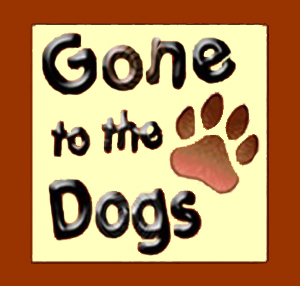 DOG RESCUE - GONE TO THE DOGS? Rescue groups and animal transports may be dumping dogs, thus contributing to dangerous dog packs and “feral” dog attacks. The increase in urban dog packs are a serious risk to residents and “wild dogs” pose a very real threat to livestock, hikers, and campers. Why and how this is happening turned out to not be much of a puzzle. When we covered the new Canine Underground Railroad (CUR), it initiated contact from an original member who said that CUR was a noble conception but that it had ended in 2001. Perhaps, but CUR’s internet presence and listing on Animal Liberation Front’s (ALF) short list of Animal Rights Organizations, along with our source’s recognition of current CUR member names, leads us to believe that CUR just morphed into something that can be much less noble today. There are countless rescuers, animal transporters, and groups using CUR in their name. Chances are they do not know that ALF laid claim to the term “canine underground railroad” decades ago but it is within reason to believe that some rescue groups still embrace Animal Rights agendas. Dumping of dogs by unscrupulous transporters will bring about even more legislation adversely affecting pet owners and dog breeders. Animal Rights organizations are generally in favor of more animal laws, therefore most of them would have no compunction about releasing the dogs. * Reports of packs of dogs terrorizing neighborhoods surfaced in the Los Angeles Times as early as 1995 but by 2010 there was an alarming upsurge of dogs running in packs. * The upsurge in dog dumping is surprising due to an abundance of shelters, more transporters, and wonderful publicity for dogs in need of homes. TV shows promote rescue work, celebrities do commercials for donations to fix the homeless pet problem, and even pet food stores are getting in on the act of finding homes and transporting animals. In 2003, National Geographic News reported packs of wild dogs roaming the USA, living in abandoned buildings or junked cars, even taking shelter in sewers. These are not likely to actually be wild dogs but just dogs left to their own defenses. Could this be the result of animals that are being badly managed by rescue groups in charge of their care? One government report stated that feral dogs in 50 states caused damages estimated at $620 million annually. Referring to these dogs as feral (born in the wild) is probably inaccurate. When abandoned or dumped, domestic dogs form into packs, roaming neighborhoods and agricultural areas, surviving mainly on garbage. Documentaries of street dogs in large cities have shown that they can adapt quite well, some even ride the subway! 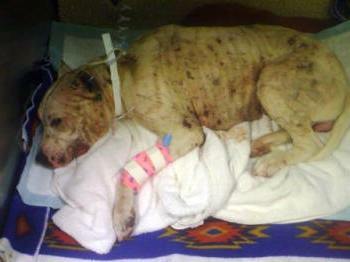 * 36 sick purebred dogs were dumped just over the state border into South Dakota. * 10 separate packs of wild dogs roamed one NC town, killing pet cats and small animals. * A Wisconsin law regulating breeders is being blamed for a rise in stray dogs, 75% of which are intact (not neutered or spayed) purebreds. * Several California witnesses reported seeing a white van dump about 15 dogs onto a busy highway. * 63 starving adult Shih Tzu dogs and mothers with puppies, many with numerous health problems, were dumped in a Florida neighborhood. An upsurge in police reports and animal control officers having to deal with packs of aggressive dogs, such as these two reported in Texas: Aggressive pit bulls and a German Shepherd running loose in a neighborhood. And a pack of 6 dogs killed 18 adult goats, 12 baby goats, 29 chickens, a Peacock and a turkey with a reported livestock loss of $40,000. Five incidences of wild dog packs on Long Island, NY were reported in a single week with at least one horrific attack on livestock. A wild dog pack killed 100 animals in 3 months in NE Washington State including a 350 pound llama which was only partially eaten. A handbook for Wildlife Damage Management (Cornell, Clemson, U of NE-Lincoln, and UT State U) defines feral dogs as looking much like domestic dogs in shapes, colors, sizes and breeds. While some abandoned or dumped purebreds might become part of a survival pack, feral dogs would look like mutts, not “breeds." When the facts and reports are combined, it strongly appears that some rescuers or transporters, having been paid the transport fee, are simply releasing (dumping) dogs to fend for themselves. While it may be true that domestic dogs can't survive long in the wild, it appears there is a fresh supply continually being dumped or abandoned. The idea of setting dogs free would not appeal to Animal Welfare groups, but as has been shown by PeTA (convicted of dumping dogs in a NC dumpster), some Animal Rights groups would not have a problem with dumping large dogs instead of trying to adopt them out. The significant increase in free-roaming packs of large dogs is reason to wonder if this dumping activity has just evolved or if it is a concerted effort to stimulate even more legislation against dangerous animals. Focus has always been on the result but it’s time to focus on the causes. A good place to start is with shelters which frequently transfer dogs to other shelters with “low inventory.” Any movement of dogs should be documented and there should be some kind of county or state oversight. We’re told that adoption records are kept, but records on all dogs passing through a shelter need careful tracking whether transport is to a nearby shelter or across the country where there is a shortage of adoptable dogs. Or, a bitter but true observation, putting large, dark colored dogs on a transport truck to nowhere because they are not considered adoptable but for bookkeeping and PR purposes, they need to be recorded as “adopted” instead of being put to sleep. Both rescue volunteers and transports for hire need to be monitored and tracked to insure that the dogs actually get to the better place. Leaving things to chance may be contributing to packs of dangerous dogs or horrendous endings for dogs that just needed loving homes. Another gruesome truth; many end up used as bait by dog fighting criminals. Some wind up in an endless transport situation as has been documented. There has to be transparency. Accounting for ratio of donations vs. rescue records vs. valid adoption is demanded and would reduce numbers of dumped dogs and the problems that follow. There are many tightly run shelters doing a great job with very few dollars but sadly, there are well-funded groups that are loosely run which leaves an open invitation for corruption. The same could be true of non-profit animal rescue groups and they too must be more accountable. The authorities are aware that organized crime has infiltrated the dog world. You only have to look as far as news reports of raids on dog fighting rings to see the criminal involvement. There are reports which have identified dumped dogs as having come from underground dog fighting activity, and many have been in horrific condition. Gang activity is closely tied to organized crime, dog fighting, and dog theft. Diametrically opposed to wild dog packs, there is an increase in neighborhood dog thefts. In some Florida neighborhoods, people are organizing and meeting with law enforcement officials in an effort to expose and stop the thefts and the dog fighting rings that may be the cause for them. 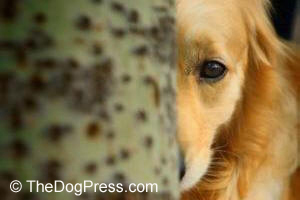 All of these dog problems seem somehow interconnected and there are some Animal Rights groups that would prefer TheDogPress not report remain America’s dirty little rescue secret. However, the same problems are on the increase in other countries. Could it be that unscrupulous people or even organized criminals see doggie donations as their new gold mine? Transports for hire should be looked at by the FBI because transporting dogs across state lines, them dumping them into unsuspecting communities to cut the trip short is not dog rescue, it is criminal fraud. With computer access and digital camera equipment so readily available, there is no reason that what really happens to rescue/transported dogs can not be made available in shelter to shelter transfer. Local television stations would relish doing a story with a happy ending for a group of rescue and shelter dogs. Breed clubs could take advantage of some free publicity when they successfully re-home dogs of their breed. Every animal lover in the USA needs to step up and demand animal rescue accountability because the bottom line is that these rescue problems are resulting from careless, wrongful, and criminal acts by less than honorable people. And just as wrong, the dog dumping and resulting “wild dog packs” will result in more restrictive laws against caring dog owners. Wikileaks reveals DHS report on “Animal-Rights Militants." Canine rescue acronym connected to ALF and shady animal shelters. 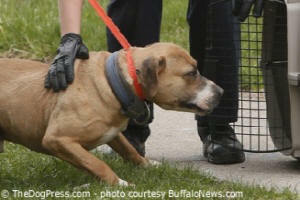 Bounties on ringleaders, pets stolen for ring bait, pit bulls fill shelters.